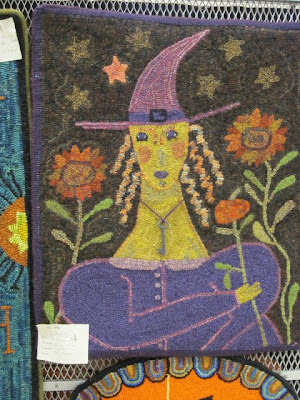 Pat Cross hooked this wonderful witch, whom she affectionately calls Agatha. I love the purple hat and dress, and the sunflowers are divine! She used a real skeleton key for Agatha's necklace. Dawn Walczak hooked this Witch. Love, love, love the light purple background! Lauren Haisley is hiding behind her Sunflower Witch. I taught a workshop for her group in Libertyville, IL last June and this was her project. Lauren also used a real skeleton key for the necklace. I believe she called her witch Wilhelmina. All I know is that Wilhelmina has a very pretty face! Great job and beautiful rugs, ladies! 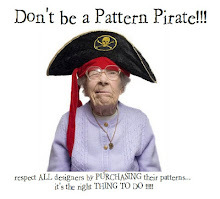 Oh I've always love this pattern! Love all of these rugs!